Whether you're adding a toilet and shower to your garage as part of an overall remodel, or you just want to make your utility space more functional, you have a major project on your hands, and you probably know that. The most troublesome issue you face is drainage, especially if the garage is downhill from any available sewage tie-in. No problems are insurmountable, but some may tweak your budget a little more than you'd like. 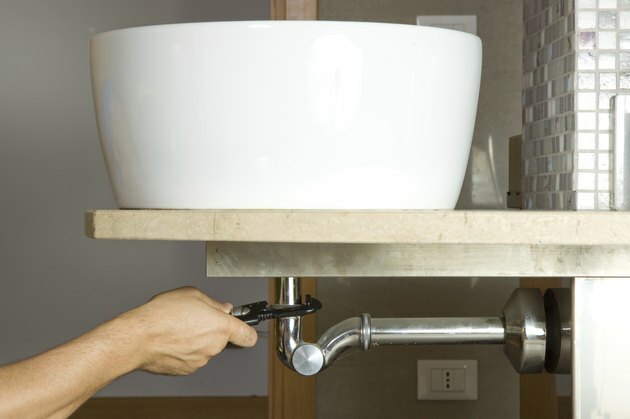 The International Residential Code, which many communities follow, has clearance requirements that will determine how you lay out the space and where you install the rough-in plumbing. 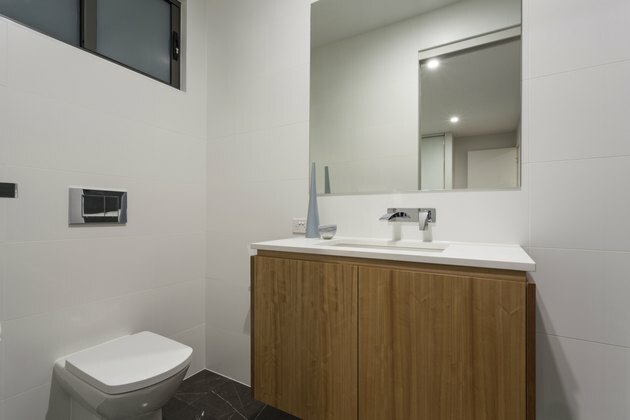 The finished toilet must have at least 21 inches of clearance in front of it and 15 inches from the center of the bowl to a wall on either side. Add the rough-in distance -- usually 12 inches -- plus half the bowl width to determine the clearance needed from the back wall. There must also be 24 inches of clearance in front of the shower entry, and the shower floor must occupy a minimum area of 30 by 30 inches. If your garage is on a concrete pad, you can always break through the pad to install the drain pipes and patch it when you're done. An easier alternative, though, would be to set the toilet and shower on raised platforms so you can run the waste pipes through the wall and route them underground when you get outside. The pipes must maintain a 1/4-inch-per-foot slope to the tie-in point with the main sewer. If you can't maintain that slope, install a macerating toilet to pump waste uphill to the sewer. Tie the shower into this pumping system or collect the gray water from the shower in a holding tank, if local ordinances permit this, and recycle it. You'll probably be drawing the water for the toilet and shower from your house by running underground pipes. Instead of running these pipes up along the side of the garage, where they can freeze in winter, bring them up from the floor inside the garage. 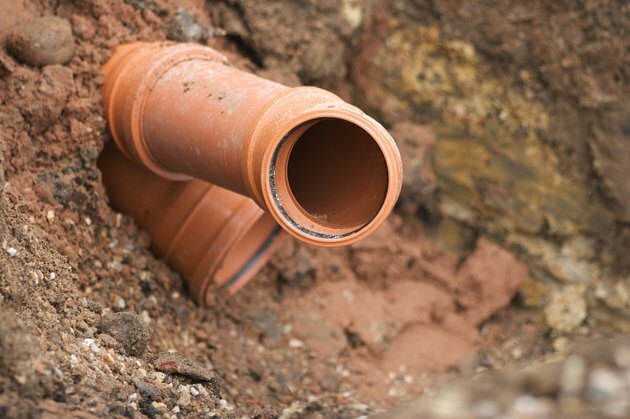 Supply the garage with a 3/4-inch pipe to avoid water pressure problems. A small water heater installed near the shower will supply hot water more efficiently and economically than an underground pipe coming from your main water heater. Route the 3/4-inch cold water supply to it, then branch a 1/2-inch cold and hot pipe from there to supply the shower. Branch one more 1/2-inch cold water pipe to supply the toilet. 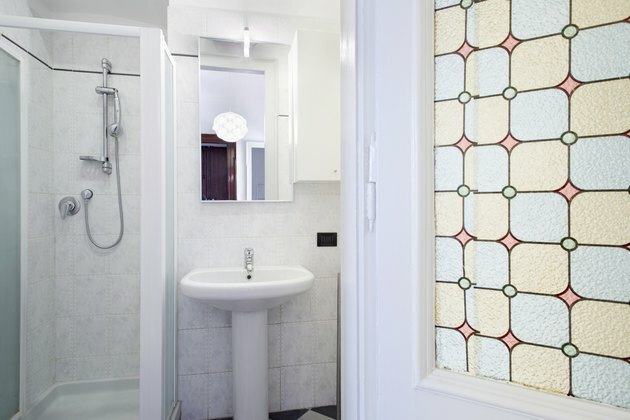 Humidity becomes a problem wherever you install a shower, and to address it, the International Residential Code requires a window that provides at least 1 1/2 square feet of flow space. Even if everyone using the shower remembers to open the window, steam will still float around inside the space. Garage walls are finished like bathroom walls, so you may want to paint them with easily cleanable, moisture-resistant glossy enamel to safeguard against mold. Don't forget that the drain installation requires a 2-inch vent that rises at least a foot above the roof line.